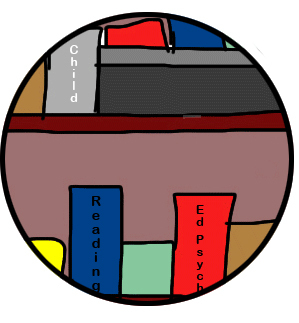 Once a student is tested and her unique needs are identified, effective accommodation plans can be developed. K-12 and higher educational institutions each have "systems" that, from a parental perspective, can seem intimidating or inadequate and from a school's view be overwhelming and/or lacking in individualization. Educational Solutions CNY provides consulting services to both schools and parents, with an aim to bridge divides between a student's needs and a school's support services. We can support and guide families to advocate for the services their child requires and advise them through the maze of complicated legalities, terms, and cultures that are encountered in the process of acquiring accommodations and learning supports for their child. Our accomplishments as teachers, teacher educators, interventionists, clinicians, trainers, researchers and parents of children from gifted to special needs provides us with unparallelled insights and vast experiences from which to draw upon for providing proven supports to ensure that your child's unique learning needs are met. Whether it is through limited consultation or ongoing on-site support at school and team meetings, we provide training and advocacy support to parents as they navigate the complicated maze of special education. Our experienced consultants can assure that educational plans and interventions are specific, measurable, geared toward supporting a child's success in the general education curriculum, and also follow through with parents and school staff to ensure that the plans are carried out as intended. We also provide consultation and support to families and children who have experienced school interruptions due to health, psychological, or behavioral reasons. When a child is sick, maintaining school work or re-entering daily school involvement can be a challenge. Teachers and other school staff do not always know the best way to support children who have missed extended periods of school or who may need accommodations such as a shortened school day as they work towards recovery. Likewise, parents of children who are experiencing depression, anxieties and school refusal often find that their school systems are ill-equipped to provide the supports they need. Our experienced consultants can help facilitate smooth and successful transitions by partnering with families and schools to put into place effective, compassionate and individualized support plans. Cogmed Working Memory Training is an non-medication, evidence-based program for helping children, adolescents, and adults sustainably improve attention by training their working memory. Go to our Cogmed Page to learn more. Parenting can be stressful. And, as parents of children with special needs, we face unique challenges and stressors that can take their toll on our physical and mental health. But it doesn’t have to be so hard! Engaging in relatively simple mindfulness techniques has been shown to reduce stress, anxiety and depression in parents of children with disabilities. Learn more about Mindfulness- Parenting.